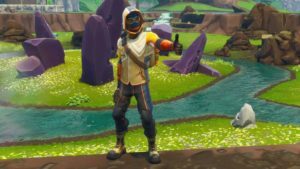 Things have never been better for gamers who want to see their icons on the big screen, or to relive their favorite digital adventures while snacking on some popcorn. With people like Kong: Skull Island director Jordan Vogt-Roberts taking on the Metal Gear Solid project, and big stars like Jessica Chastain and Tom Hardy signing up for Ubisoft movies, the future is bright. You can see what’s coming up here, in our list of upcoming video game movies, and then you can check out our list of the best video game movies ever made. Sorry Mr Hoskins, Super Mario Bros. did not make the cut. Assassin’s Creed felt like the moment video game movies stepped into the spotlight for the very first time. 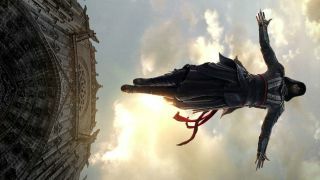 Others were dismissed as oddities or only for a certain audience, Assassin’s Creed attempted to put that all to bed with a really cool take on the eternal struggle between the Creed and the Templar Order. Starring Michael Fassbender, Marion Cotillard and Michael K. Williams, Assassin’s Creed is a movie that doesn’t lack for stars. It gives the movie a real legitimacy and it is flanked by an impressive-looking Animus adventure in 15th Century Spain and a parkour-heavy style that pays homage to the series without – as some movies do – going too far on the fan-service. It may have disappointed some fans and filmgoers but give it another go. It soars higher than you might think. 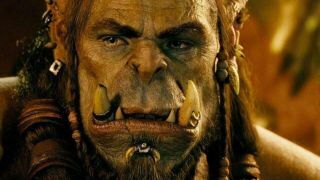 World of Warcraft was just ripe for being picked up by Hollywood. Being brushed aside as Lord of the Rings-lite, Blizzard’s jewel in the crown is packed with lore in abundance and it’s all guided under the steady hand of indie darling Duncan Jones. It’s not only the best-performing video game adaptation of all-time (as of writing) grossing $433m, it chooses to give the world of Warcraft (heh) a pedestal to stand on – and it is beautiful. 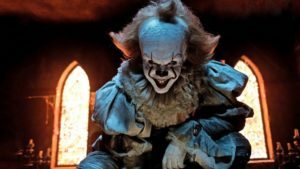 The film does fall down by over-egging the pudding under the creaking weight of its ensemble but it’s still an outlier in the video game movie world: a movie that isn’t scared to take a chance, chuck a massive budget at an acclaimed director and just letting him run riot with the world. More of that, please. This list wouldn’t be complete without some horribly ‘90s campiness. Mortal Kombat isn’t a great film, heck, it’s not even a particularly good one (hence why it’s so low on this list) but it’s the perfect so-bad-it’s-good movie than is full of schlocky fights and honest-to-goodness laugh out loud moments. 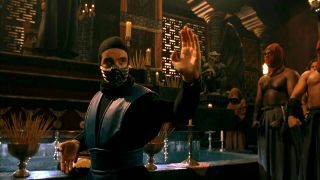 I don’t know what’s going on half the time (and neither do the actors, by the looks of things) but this is Mortal Kombat in the ‘90s. It’s just balls-to-the-wall madness, minus the spine-ripping. If you’re ever in need of a movie to watch with mates on a drunken Friday night, make it this one. You won’t regret it. Wait, don’t go! Video game movies can’t all be gritty trips through the browns and greys of another war-torn landscape. 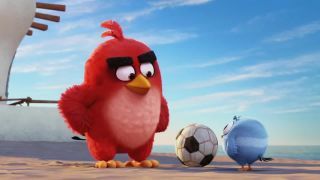 The Angry Birds Movie is the perfect antidote for that. You and I may not be the target audience, but you can’t deny it’s a film with bucketloads of charm to keep the kids occupied for 90 minutes. Plus, the fact that the producers have managed to inject this movie with an actual personality is something that shouldn’t be overlooked. That’s not all. It’s even got a few SpongeBob-esque jokes for the adults; some pretty decent visuals and, yes, toilet humour. Look, if you’re expecting 2001: A Space Odyssey, then this isn’t for you. It’s still one of the best video game movies of all time because it dares to add some colour to proceedings, while trying to give something for everyone. 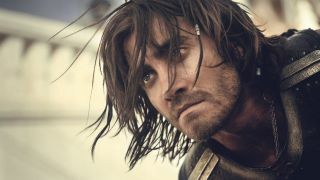 The whole Jake Gyllenhaal playing a Persian dude thing is stupid but, if you ignore the whitewashing, what remains is a movie that – while you may not want to see it time and time again – is certainly one of the more passable video game movie efforts. Gyllenhaal leans into the silliness and seems to pop off the screen in his role as the eponymous Prince and the time-rewinding aspect of the movie actually still holds up pretty well given a rewatch. The movie, though, is paper-thin. Gyllenhaal can only keep things going for so long but, hey, I’ve seen worse – and that’s just talking about some of the Prince’s games. 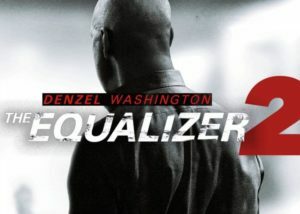 At least it has its heart-pounding action moments and exceptionally likeable lead to fall back on. As the saying goes, even a broken clock is still right twice a day. Despite only being released in 2016, it seems time has forgotten Ratchet and Clank’s movie debut. Yes, it made a loss and, yes, it’s packed with weird casting choices (Sly Stallone appearing in a Ratchet and Clank movie is a sentence I thought I’d never have to type) but it’s actually not that bad once the retooled origin story is let to stand on its own two feet. It may lack the charm and humour of the PlayStation platformers and it’s definitely not Pixar-level when it comes to the animation, but it’ll kill 90 minutes. 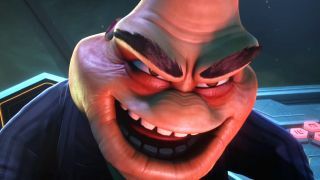 As much of a backhanded compliment that sounds, it’s really not: Ratchet and Clank is a competent family-friendly movie that delivers on bringing the unique pairing of a Lombax and a robot to the big screen – and makes it fun. Imagine that. Following in the footsteps (and ice pick) of the 2013 reboot, Tomb Raider returns to the big-screen by giving us a newly-vulnerable Lara and a movie that – while it doesn’t quite break out into anything remotely resembling a great action flick – is a welcome homage to one of the finer games of its generation. 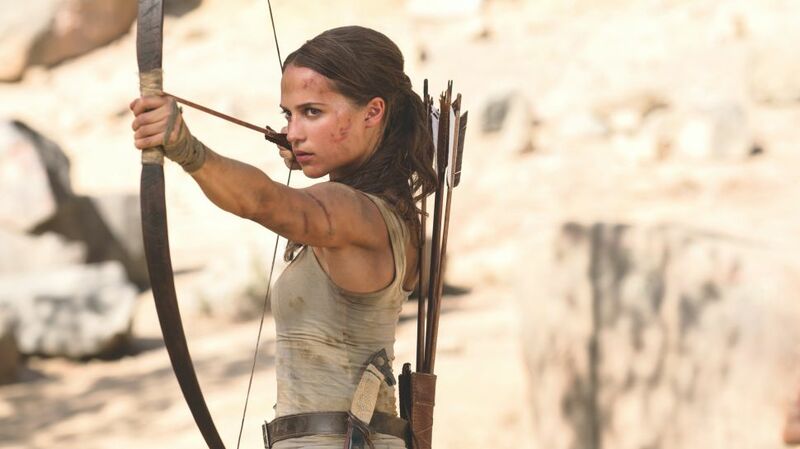 While the movie riffs on rather than directly pulls from the games, Alicia Vikander gives us a Lara that is bursting with life and, interestingly, a character who appears more at home in London than raiding the tombs of a lost kingdom. Tomb Raider certainly marks a watershed moment for video game movies: no longer content with being kept to the shadows, this is a forceful entry filled with star talent that might open up the door for even more video game treasures down the line. Resident Evil has so many movies (six by my count) that it’s hard to pin a single one down to present a dead cert for this list. They range from the shambles that is Afterlife to, this, the original and (probably) the best. It’s streamlined and only pokes around at the edges of Resi’s sprawling lore, and with good reason: the emphasis is on the action. That may grate with some but, back in 2002, a slow-burn experience through a mansion just wouldn’t have turned out as energetic and kinetic as this first effort – and it still holds up pretty well today. Other video game movies are better but this kick-started everything. Milla Jovovich is exceptional in her role as Alice (and, honestly, doesn’t get enough credit) and the set-pieces come thick and fast. It’s also notable in the fact that it looks to set-up sequels and sprawling universes long because Iron Man heard about the Avengers Initiative. Well worth a re-watch. Sure, it’s needlessly clunky in places but it sure does bring the chills. 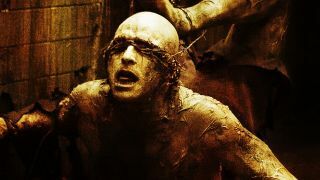 In hindsight, Silent Hill was a perfect fit to cut through the thicket of below-average video game movies that seemed to come out every few months in the mid-‘00s. 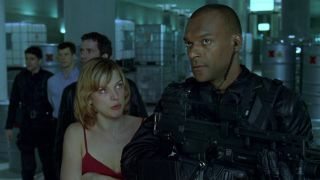 Packed with a decent cast (including a rare sight: Sean Bean surviving!) and more than its fair share of scares, Silent Hill may not stack up to its horror peers but, for a video game effort, it’s more than good enough. Bonus points for including Pyramid Head; just as terrifying (perhaps more so) than its video game counterpart and a sight that will be sure to have you hiding behind the sofa before the credits roll. The Spirits Within shouldn’t work. 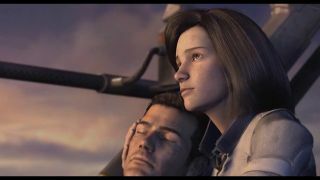 Boasting Hollywood actors that, normally, would just be there to pick up a paycheque, a look that leans too heavily on new technology, and focusing a brand-new story in a beloved franchise, Final Fantasy: The Spirits Within takes all of that and somehow squeezes it into one of the best video game movies to date. It may look a little sterile now but, at the time, The Spirits Within was a genuine marvel. While the plot is as about as hokey as they come, it still draws from the well of Final Fantasy-tradition by partaking in some hand-waving mumbo-jumbo about the life force of the Earth or some such. In many senses, then, it pays due respect to its source while leaping forward in ways that video game movies of the past (and future, let it be said) were only too keen to remain stagnant in. If nothing else, let this risk-taking serve as a lesson: The Spirits Within should be the definitive template for how to make a very solid video game movie: be different and always be daring.